Vinayaka Chavithi (Ganesh Chaturthi) is celebrated by Hindus all over India, as the birthday of Vinayaka (or Ganesha), the god of wisdom, knowledge and prosperity. It is believed that praying to Lord Ganesha leads to fulfilment of wishes and desires. His blessing removes all the obstacles from life. Although it is not known when this festival was first celebrated, but it is alleged to have been celebrated in Pune initially. Celebrations were started during the reign of Chhatrapati Shivaji to promote nationalism and give a feeling of unity. Ganapati, The elephant-headed god with Mooshak (rat) as his vehicle was created by Goddess Parvati from the sandalwood dough. It was she who infused life in Ganesha and asked him to guard at the door while she was in her bath. When Lord Shiva returned and was stopped by this unknown child Ganesha, Shiva in rage cut off the head of that child. As soon as Parvati got to know about the severing of head of her son, she asked Shiva to bring him to life again. Shiva then implanted the head of an elephant on Ganesha's body. This re-birth of Ganesha is celebrated as Vinayaka Chavithi or Ganesh Chaturthi. Vinayaka Chavithi is the most popular festival of Vizag. Revitalised by Bal Gangadhar Tilak in the late 19th Century, to take the message of freedom struggle to all Indians. This festival continue to bring the feeling of unity and togetherness invizagites. On this season you see pandals in every nook and corner with boys coming together and offering poojas to the lord. dance programs being conducted, bringing all the festive spirit for the celebration of life. 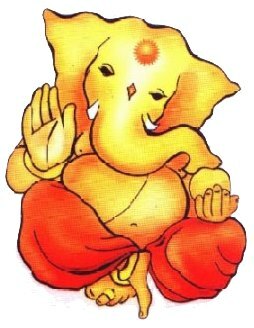 Vinayaka Chavithi will be celebrated for ten days during the operiod special poojas wilbe offered and prasadams wil lbe distributed at the end of 10 days the idol with willbe carried with grandeur to the bay of bengal for immersion which marks the endof hte festival. Ganesh Navaratri is the most special occation at Sri Sampath Vinayagar temple at Aseelmetta, with special alamkaaram and poojas on all the nine days the temple most popular among all in the city draws large number of devotees who throng the temple. Belief is that by praying at the Sampath Vinayagar temple will bring them luck and remove all obstacles.